There are those books that grab hold of your heart and your attention and refuse to let go. They fill you with Epic Feels that you must preach to any and all who so much as ask you how your day is going. Then, there are those books that quietly sink in, that don’t compel you to do anything drastic or cause you to squeal or cry in a public place but that still bring you joy. And sometimes, those quiet books are exactly what you’re looking for. 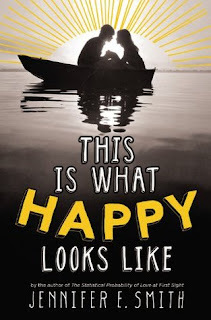 Jennifer E. Smith’s latest novel This Is What Happy Looks Like is the latter. And there’s nothing wrong with that. If you’ve read the jacket copy of the book, then you already know exactly what you’re getting into with Ellie and Graham. There aren’t a ton of twists and turns here. The ones that happen feel organic, and they move the plot along in all the right ways. Since we get a look at the emails between Ellie and Graham right from the beginning, we already know how they feel about one another. There’s no will-they-or-won’t-they urgency here, as far as I’m concerned. To me, though, this story isn’t about the end result. Of course, as a fan of romance, I want Ellie and Graham to be together forever and for all time, but more than ever, I want these two to be happy with themselves and with their choices. I think that they are. Jennifer E. Smith really has a way with words, where it sort of sneaks up on you rather than smacks you in the face. Often when I read, I wonder what it would be like if my current read is turned into a movie. This book brought that up mostly because of its own movie set plot. There are certain stories that I think lend themselves to the film medium very well with very minor changes. This story, however, wouldn’t carry over as well. Ellie and Graham are both very internal, which makes for a tough film. However, it makes for an entirely interesting character study. There wasn’t much action, but I always felt like turning the next page to find out what would drive Ellie and Graham forward at the next juncture. This is all courtesy of the wordsmithing of Jennifer E. Smith. It’s tough to write an ambiguous review like this. This story didn’t entice me to read into the late hours of the night. It didn’t haunt my mind and follow me throughout the day when I wasn’t reading. 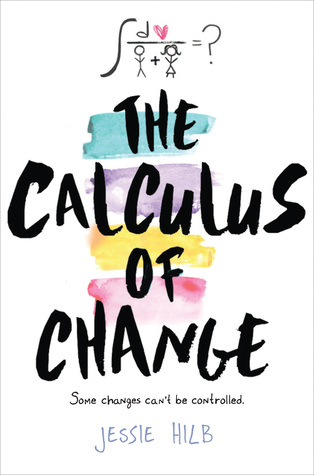 It did entertain me thoroughly, and I felt a sense of calm, remarkable finality when I closed the book. If you’re looking for something to blow your mind, this isn’t your tale. If you’re looking for a sweet story of two people searching for each other, then your happy is This Is What Happy Looks Like. Just finished this over the weekend. I confess that it started off fantastic, but somewhere around the middle it really lost the momentum. I found myself skimming to the end. Graham and Ellie make some seriously boneheaded moves, even for teenagers. Instead of watching these two kids fall in love, I felt more like from the beginning I was told that they were in love and then asked to go along with it. I'd give it a B-. Not bad, just not great. Love some kinds of the novel about the relationship between teenagers. Your review reminds me my favourite movie, Filpped. I am so looking forward to read this book "This Is What Happy Looks Like"